Like the rest of the school, the Sixth Form is co-educational, and Highclare welcomes applications from students from other schools. We offer an extensive choice of A level subjects and the Extended Project Qualification, which allows students to develop a wide range of study skills whilst conducting an individual, academic research project. We deliver high quality teaching enabling students to gain the necessary qualifications to facilitate progression to Higher Education. Our ethos of nurturing individual talents is facilitated by small classes, which afford teachers the privilege of close monitoring to ensure that each student achieves their highest academic potential. Our policy of flexibility means each student’s needs and requirements are catered for, with the timetable structured to offer the subject options of each student as far as possible. 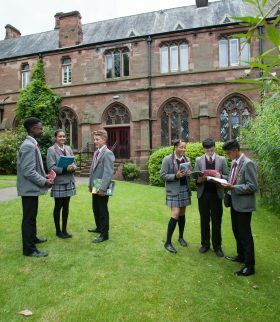 Students are empowered to work hard and to participate in a range of activities which take place across the school, including undertaking the responsibilities of leadership and setting a good example to pupils further down the school. The Sixth Form has its own suite of rooms, which provides a calm and purposeful atmosphere for study, including a study centre, a common room and specialist study rooms. All students are provided with an iPad for their own use, which makes lessons more time-efficient and engaging. The Sixth Form is small, friendly and provides a supportive atmosphere in which the students may develop and mature as they study for future goals. Students are encouraged to develop their skills beyond the curriculum. They are able to participate in extracurricular activities such as sport, music and drama, and students also have the opportunity to participate in a voluntary placement. This provides valuable experience for the student and the school community, and local organisations benefit from their enthusiasm and dedication. 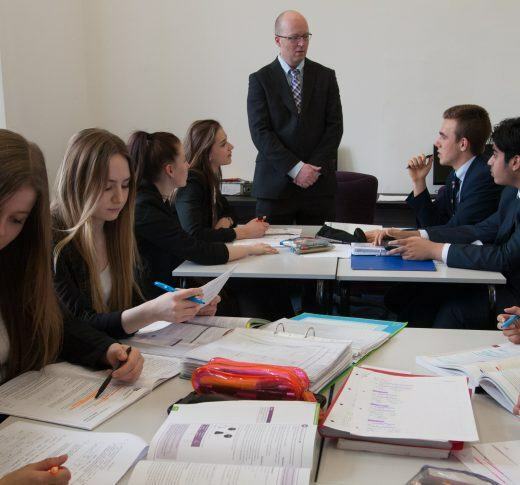 The sixth formers are involved in leading enrichment classes and extra-curricular activities with younger pupils, or supporting teaching staff in lessons. At Highclare, students enjoy positive relationships with highly experienced, caring staff who are always available and willing to help and encourage them to achieve their full potential. 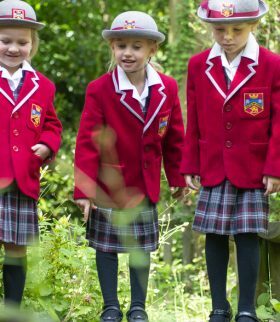 Our aim is to work towards making the journey to academic excellence a vibrant one, and allow each and every student to achieve more than they believed possible. Highclare students leave the Sixth Form with the skills needed to flourish at university, in the workplace, and in everyday life.